Recently, my wife and I were riding bikes around Fort Mason area on the San Francisco peninsula. Lo-and-behold my wife sees someone with a Philz coffee cup walk by. She says to herself, “Wait a tick! 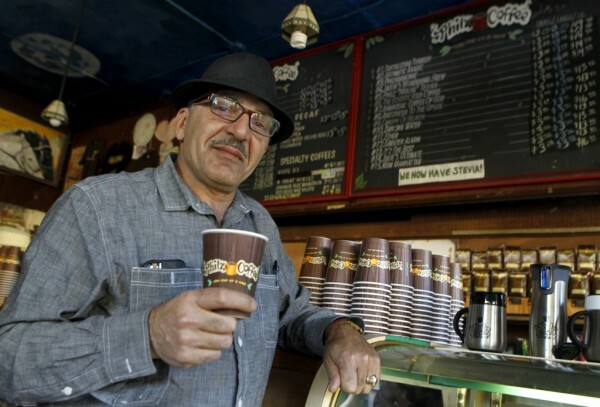 There’s no Philz in this neighborhood!” San Franciscans are tribal about their preferred coffees. We typically know all the physical locations of our favorite roasters and brewers. My wife knows I’m a Philz-devotee. So seeing a Philz cup outside of its natural habitat caught her attention. 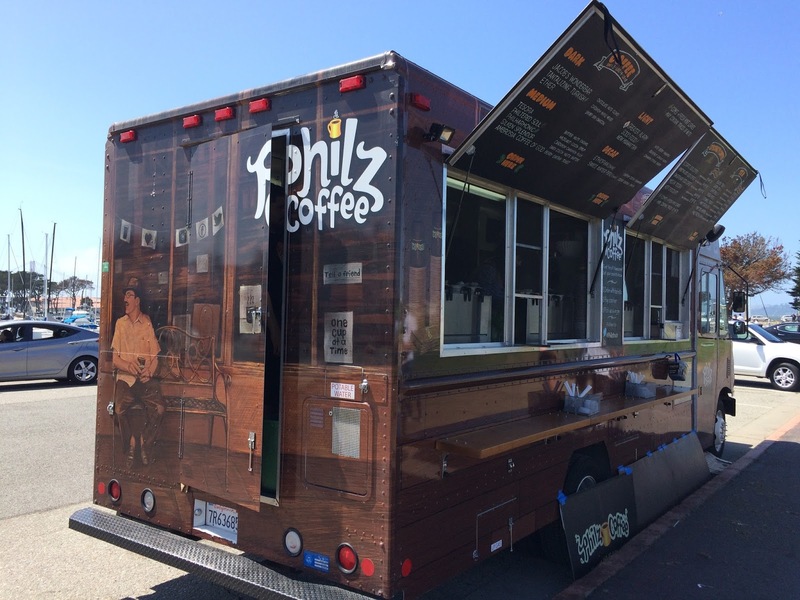 Minutes later, we ran into the new Philz truck, parked on Marina blvd. Booyah! This is the first time I had thought about the half-life of a coffee cup in the wild. The various coffee roasting factions demarcate their turf using the coffee cups they give visitors as a sort of viral advertising strategy. And the radius of inspiration lasts as long as it takes for a person to consume their beverage, which may be five minutes if a person is walking and drinking at a moderate pace. This is plenty of time for one customer to inspire Pavlovian thirst reactions in a dozen passersby. This brings me to the emerging tech trend of the season, the use of bluetooth beacons for transmitting location signals and web content. (See Apple iBeacon and the Google Eddystone initiatives for the nitty gritty) We can assume that first applications of these tools will be marketing related like the coffee cups, sending signals that span from a few feet to fifty feet depending on intensity of the signal wavelength. But one can imagine a scenario where beacons of hundreds of varieties might talk to our wearable devices or phones, without intruding on our attention, in order to sift out topics, events and messages of specific interest to us personally. As a first step, something has to be written to be read. There have been some interesting initiatives around hyper-local web content discovery in Augmented Reality style applications. My favorites include Yelp Monocle which spatially rendered restaurant reviews over the viewfinder of a phone's camera, Loren Brichter's Tweetie app which allowed users to point their phone in any direction within the user's proximity to see what was being tweeted there, and Shopkick app that sends audio signals to customers' phones when their phones are listening for the high-pitched signals Shopkick transmitter sent, that are beyond human auditory range. All of these are app-specific signals. It becomes very interesting when these kinds of strategies are done in an open fashion that doesn't require a special app to consume it. The web itself is the best means to move this kind of use case forward. That is exactly what is happening with this new push to leverage bluetooth. And of course bluetooth signals decay rapidly over short distances. So they are only relevant to people nearby, for whom content can be tailored. Why is the idea of the decaying signal good? Think about the movie Chef, and the use case that the protagonist had to tweet their location and updates while they drove across the country. Doesn't make a whole lot of sense to use a global platform for a location-specific service does it? Great marketing film for Twitter, but a ridiculous premise. Chefs need to talk to their communities, not the world, when publicizing today's menu. And a web where everyone has to manually follow sources and manage inbound information meticulously is a web that will inundate our attention. When it comes to the things that can matter to us in the tangible world, we need it to speak to us when it's relevant and shut up at other times. Otherwise, the signal/utility of the web gets lost in the noise. Google's innovation with the "Eddystone URL" introduces the concept of the beacon being a web server. The URL a beacon transmits can utilize any modern browser to connect the user to a broad array of web content associated with the specific location without needing a custom application to read it. Every smart phone in existence can render and interact with web content published in http. 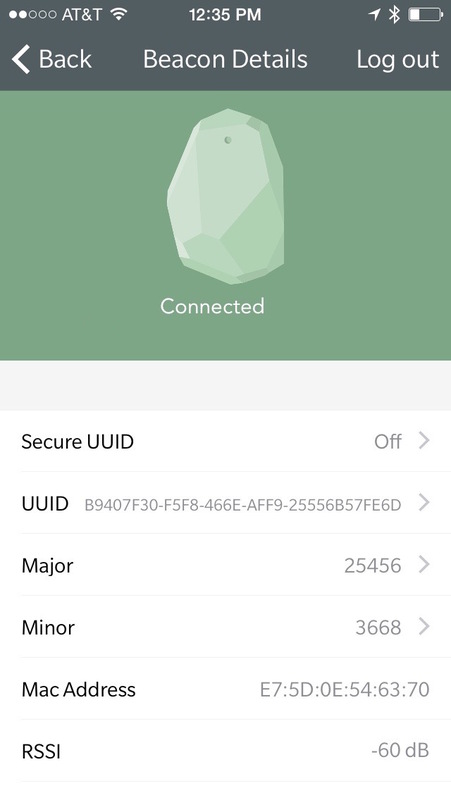 Beacon developer Estimote is joining the Eddystone initiative, soon to support the new URL broadcasting as part of their existing line of bluetooth beacons. 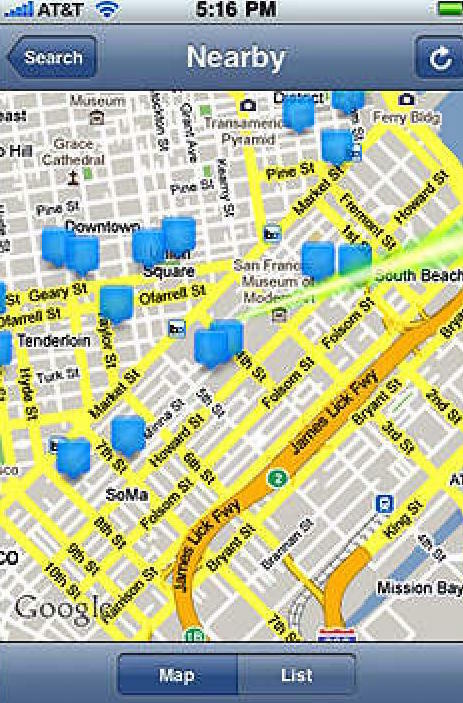 Their current SDKs allow for custom app developers to map locations and tailor apps specific to those locations. Once Eddystone URLs are integrated they will be readable by notification management tools like Google Now and probably soon custom scanners, mobile web browsers and lock-screen apps. Once Google exposes support of beacon recognition in Android, the adoption of bluetooth contextual beacons could become fairly mainstream in large metropolitan areas. (It will be even better if it's done in Android Open Source Project so that Android forked initiatives like Xiaomi and Kindle Fire can benefit from the innovations and efforts of "beacon publishers".) What this could do for our use of Internet tools in daily life is a great deal of simplification of daily tasks. We will no longer need to have an app specifically to check bus schedules or get restaurant reviews, make reservations, etc. Those scenarios will be able to happen on demand, as needed with very little hassle for us as users. In the coming years the companies that provide our phones, browsers and other communications tools will be innovating ways to surface and manage these content signals as they proliferate. So it is unlikely to be something many of us will need to manage actively. But very soon the earliest iterations of augmented reality apps will start to surface in our mobile devices in compelling new ways that will allow the physical environment around us to animate and inform us when we want it to. And it will be easy to ignore at all other times. One step beyond the mere receiving and sorting of signals is the concept that we might transmit our own signals to beacon receivers in our proximity one day. Imagine the concept of Vendor Relationship Management, popularized by Doc Searls, a means of us transmitting our preferences to the outside world and having information and services tailor themselves to us. In a world where we express our wants, needs, opinions digitally, the digital-physical world might in turn tailor messages to us without need for physical action. First step for this wave of innovation to be truly useful for us will be to have all the digital world's wealth of subliminal content available to us as needed, nearby. Second step will be the discovery/revealing in a manageable way. (This is already in process.) Third step will be the assertion of preference through the tools the OS, apps and browsers provide. I think this is the area that will benefit substantially from developer innovation.